We are a 100% New Zealand company dedicated and committed to the health and productivity of dairy farming in New Zealand. Welcome to the online Information Centre for The LifeStart Program and The Crypto Control Program. Dr Bruce Pauling has designed these Programs for New Zealand farmers after more than 20 years of research on calf scours and over 12 years research and product development for assisting the management of cryptosporidiosis scours in calves. 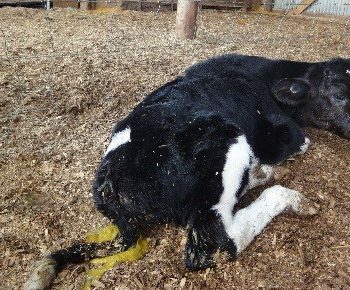 I am making available an extensive resource of information about these Programs and the products which manage to limit some of the severe consequences of crypto scours in calves. The menu on the right gives more detail on many aspects of these two Programs that may be relevant to your calf rearing system. The LifeStart Program is aimed to highlight the areas of management of calf rearing that are directly relevant to calf welfare, and especially the welfare of calves affected by calf scours and other diseases. These also affect the profitability of calf rearing. Some areas of science are less well covered, but are constantly under review, so this information does change. If you wish to received updates of development reports that will be added, you are invited to subscribe to receive notice of these by email. The Crypto Control Program resource is based on extensive review of the most recent science relating to the disease of cryptosporidiosis in calves (particularly in New Zealand). 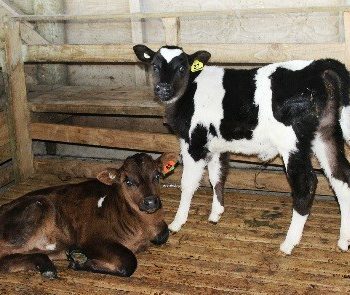 KRYPTADE and EXAGEN are products developed to assist farmers affected by calf scours associated with cryptosporidiosis. They are an essential part of the Program. These products have proven time and again to give the benefits claimed against the crypto scourge of the recent farming decades. Refer to the testimonial posts to get some insight of the relevance of these products used by New Zealand farmers. Dr Pauling is committed to support these recent innovations with more extensive trials which will be made available to everyone. In the meantime feel free to ask for further information by contacting him – drpauling@pvd.co.nz or freephone 0800 844 466 (New Zealand).